Why is a "penalty box" marked on the map? What is it? What is it used for? They [the pilot of the aircraft not yet ready for departure] sheepishly called and told the tower that they'd need another moment or two before takeoff. The controller goes..."Uh....yeah, no.....cross Runway two-seven left and hold in the penalty box. We'll be in touch." Apparently ATC doesn't like you holding up the line of departing traffic at ORD. As mentioned in the comments, the concept of having a paved area on or near the taxiways for planes to park while waiting to be ready for departure, waiting for a gate, or other similar uses is not unique to O'Hare. Most significantly-sized commercial airports have such areas. The primary thing that is unique about O'Hare's is just that it's named and the name is on the airport diagram. And perhaps also this particular controller's snarky sense of humor. 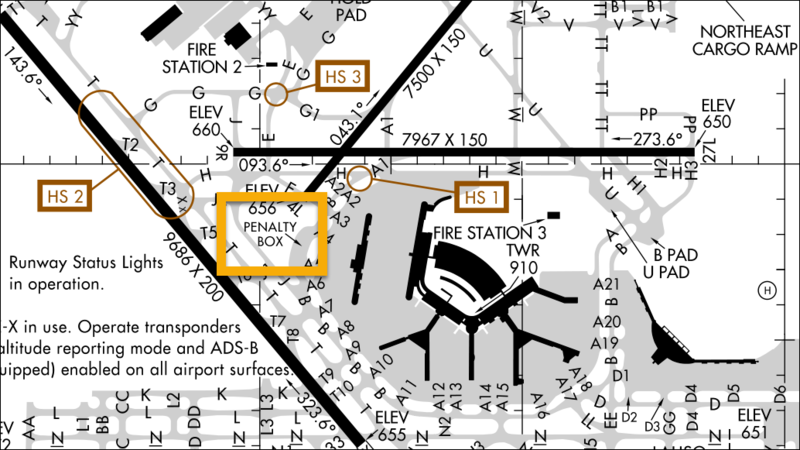 The Penalty Box is located adjacent to the terminal perimeter Taxiway B, east of Concourse C. Arriving aircraft typically use this position to wait for gate clearing. The pad is able to accommodate ADG IV and smaller aircraft (i.e., no heavy jets with the exception of DC-10 and B-767). No aircraft may occupy the Penalty Box during landings on Runway 4L. First, As a frequent flyer from Omaha, NE to Rochester, NY via O'Hare, I have been in the "Penalty box" more times than can be counted on hands and toes. A penalty box is simply a holding ramp for planes that currently have no place to be on the ground. Second, the use of the penalty box has increased since all airlines pad their inflight times with extra time. The reason is simple, it makes them look better when you always arrive early -or- on time if problems are encountered. (expectations are set low, then exceeded.) Early arrivals caused by padded transit times are more likely to wind up waiting for a gate in the penalty box. Third, this is an old layout of O'Hare; if you notice, the current United concourses are not present. Date here is 1981. This is approximately when construction on them was commenced. Furthermore, more runways have been built since. This may be a copy of the airport before modern expansions were begun. The current "penalty box" has moved to where the "Pe" is in the word Penalty box above. What is this airport outside of Cairo, Egypt? Why are some airfields not on any sectional chart nor listed in the directory? Why would flares be fired into the air after a flight lands? Why do airliners have to park so accurately? 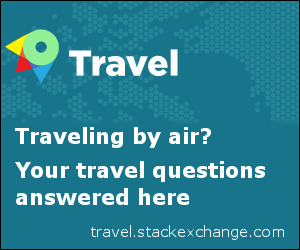 Why does Schiphol airport have such a long taxi way?